The former congresswoman – who was shot in the head – and her husband are trying to raise awareness in favor of background checks. 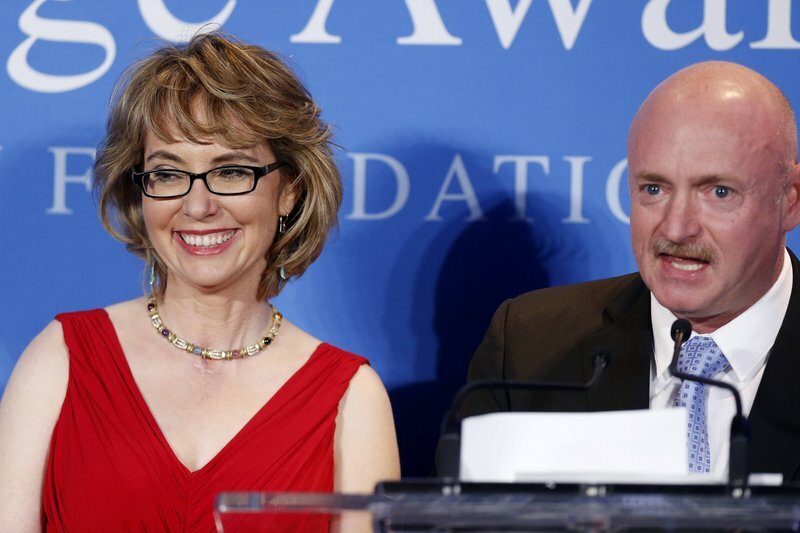 WASHINGTON — Former U.S. Rep. Gabrielle Giffords and former astronaut Mark Kelly will swing through Maine and New Hampshire in early July as the couple attempts to rekindle pressure on Congress to expand background checks on private gun sales. Giffords, who was critically injured in a January 2011 shooting, and her husband are expected to hold several events in Portland on July 6 as part of a nationwide tour with their organization, Americans for Responsible Solutions. They will be in New Hampshire on July 5, although the details of that trip were not yet finalized. The couple plans to visit Maine and North Carolina to recognize the potentially politically risky votes taken by local U.S. senators in support of stronger gun control laws. By contrast, Giffords and Kelly will visit New Hampshire, Alaska, Nevada, North Dakota and Ohio to increase pressure on senators who helped defeat a proposal to require background checks on all private gun sales. New Hampshire Republican Sen. Kelly Ayotte voted against the background check bill and has drawn the ire of gun control advocates. Giffords and Kelly have become prominent voices in the debate over gun control ever since the former congresswoman and more than a dozen others were shot by a gunman at an event in her district near Tucson, Ariz. Their “Rights and Responsibilities Tour” comes at a critical time for gun control advocates. Many lawmakers on Capitol Hill appear to have moved on – and gladly so, in some cases – from the fierce debate over gun control that consumed Washington after 20 elementary school children were killed in Newtown, Conn., last December. The incident sparked nationwide outrage, with polls suggesting that 80 percent to 90 percent of Americans supported nationwide background checks on most private gun sales to keep firearms out of the hands of criminals and mentally ill individuals. But the public was more divided on other gun control measures. And despite an intensive lobbying campaign by Giffords’ group and family members of the Newtown victims, the Senate fell short of the 60 votes needed to advance proposals to expand background checks and other measures. Success has eluded gun control advocates in many other states, however, including Maine. Maine legislators submitted 31 gun-related bills in the 2013 legislative session. A bill by Senate President Justin Alfond, D-Portland, to limit magazine capacity to 10 rounds was voted down by a legislative committee. A bill to require background checks for all private sales was watered down before narrowly passing in the Legislature. A bill by Rep. Mark Dion, D-Portland, would create a civil violation for selling a gun to a convicted felon or other prohibited person but would provide sellers with a partial or complete defense from prosecution by having a background check done on the buyer. Even still, the bill faces a likely veto from Gov. Paul LePage. — Staff writer Michael Shepherd contributed to this report.